The boys and I are total suckers for the cheese sticks you can buy at the local bakery but since they usually cost about a pound each, I figured it’s much cheaper to make your own and these taste great! You can make 10 with this recipe, so they really are a fraction of the cost. The only trouble, when you have 10 in front of you, is that it’s hard to stop eating them….. It is too early in the year to be thinking about proper picnics? I can’t help but dream of those warmer days outside. I’m talking about those lazy, summer days when you can throw a blanket down on the warm, dry grass and chill while the kids play. In my head, this is what happens… In reality it doesn’t always work out that way. Any parent with kids who exude energy like mine would understand. The ‘chill’ part is a rarity! These days, everywhere I go, it seems my mum brain ensures I always have an ‘on the go’ picnic packed so the boys have something to keep them fed and busy. Pre-kids, taking food with me wherever I went was not a thing. When you want to pack snacks to take with you on a day out, you need something quick and easy. A recipe that everyone can enjoy. No mum or dad wants to spend hours slaving away with complex recipes, when the kids are raring to go by the front door. You can prepare and bake these in under 30 minutes! 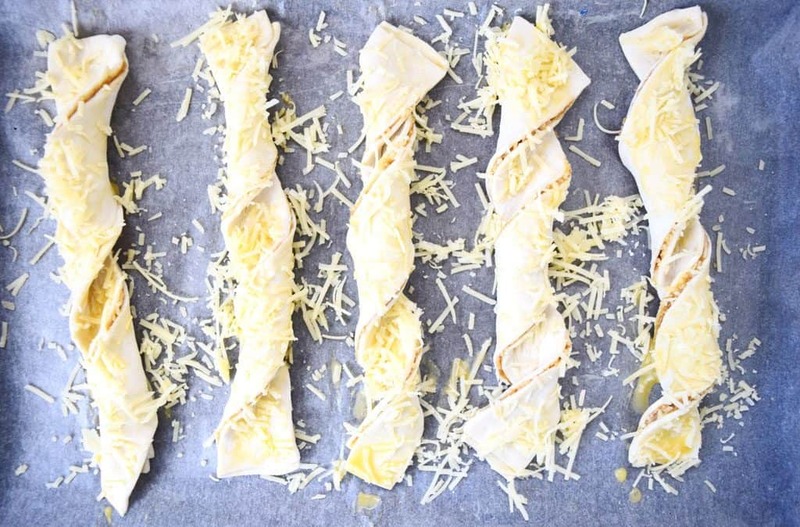 Cheese Twists are great for family baking projects too. Kids love making them since they are so simple and speedy to create. 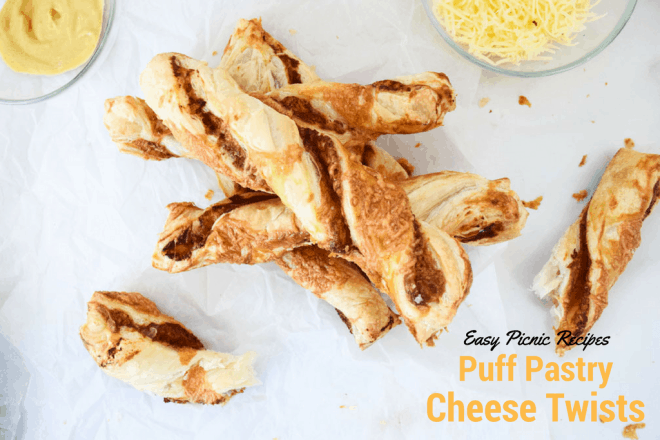 If you’re serving these with a picnic, try making them smaller. You could get 20 or even 30 little ones from these ingredients. Great for little hands or when you are trying to ration yourself….. Try making your own Scotch Eggs. You’ll never want shop bought ones again! Divide the puff pastry block into two pieces and roll each one out on a floured surface into a rectangle approximately 25x35cm. 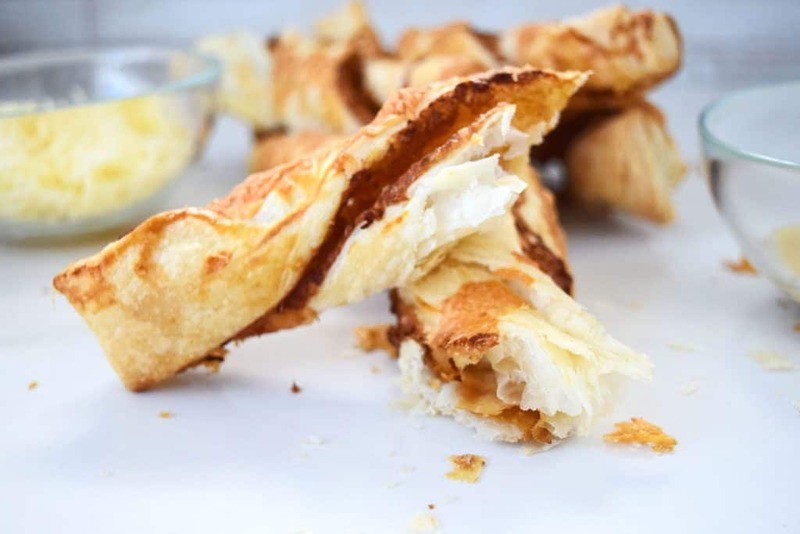 Mix the mustard, marmite and a splash of water in a bowl and spread out over one of the pastry rectangles. Finely grate the cheese and sprinkle over the marmite mix. 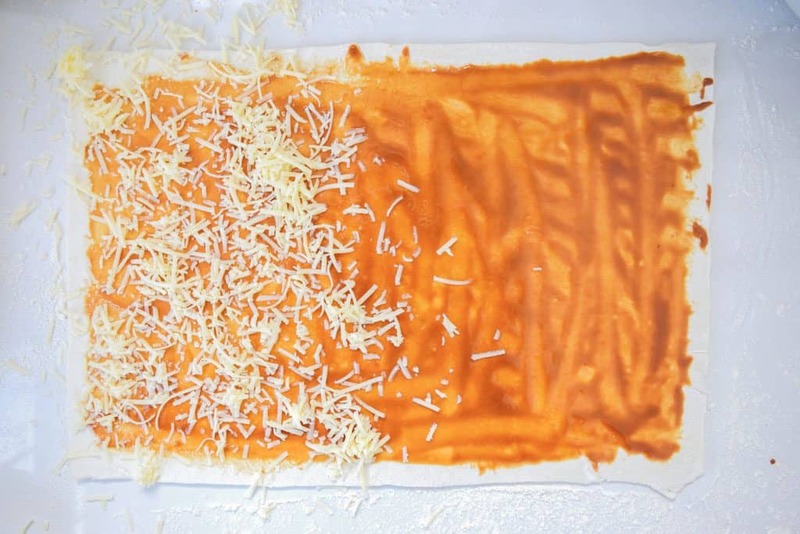 Brush one side on the other piece of pastry and lay over the top, pressing down to seal the edges. Cut the pastry into about 9-10 thick slices. Take each slice and place on a lined, greased baking tray with space between. Twist each slice around a few times and brush the top with the beaten egg. Sprinkle over some extra cheddar. Place the twists into a preheated oven at 180oc (160oc fan assisted) for 15-20 minutes until golden and puffed.